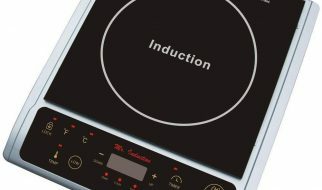 Sizing up induction cooktop must all properly begin with how induction cooktops are supposed to operate. They are supposed to pass a current to the metal composite pans or pots placed on them. This is where the actual heating action takes place. You know you’re dealing with a substandard or even defective induction cooktop if the actual surface of the cooktop heats up for some reason. While it’s not unusual for the surface to absorb some of the heat of the cookware placed on top it, the actual heat must come from cookware’s bottom. This is all the operations an induction cooktop should do. Nothing too dramatic but, of course, it all boils down to performance and panache. Just how smooth will the cooktop make the experience? Just how convenient would it be to use the device. To get to the bottom of whether the Rosewill RHAI-15001 Induction Cooktop is a solid small induction cooktop choice or even potentially the best induction cooktop for its class, we used the following key criteria: heat range, portability, easy controls, cleanup and maintenance, heating quality, and pan accommodation. Thankfully, this model actually did quite well with these criteria and it’s not surprising that many of its users consider it one of the best rated portable induction range models available in the market. The RHAI-15001 comes with a pretty decent heat range starting at 150 degrees and topping out at 450 degrees. Within this range, you can select among 8 different settings: 150, 200, 250, 300, 350, 400, 425, and 450 degrees. While other brands’ models do offer a higher number of settings-15 temperature settings is not that unusual-for most cooking tasks, the 8 settings should have your heating needs covered. Most recipes’ heat requirements fall safely within the 8 settings. If you don’t want to mess with specific temperatures, this model also enables you to pick 5 preprogrammed settings: warming your milk, soup setting, stir fry heat, frying heat, and hot pot setting. Again, for most people preparing regular dishes, this should be enough. 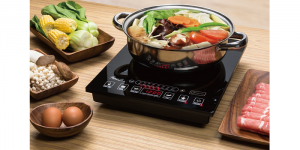 While some buyers would want to insist on more settings to consider this model their best range portable induction cooktop, for most other users, the settings this model offers are flexible and practical enough. Part and parcel of considering any cooktop model as the best portable induction cooktop for its class, the issue of portability must take center stage. At 14.8 x 11.7 x 2.4 inches and 8.6 pounds, this model is not the daintiest nor the lightest of its class. However, its slight heft should not automatically disqualify it from being in the running for best buy induction cooktop. First, its roughly square shape and very manageable weight makes it very easy to transport. Whether you need a cooktop on the road or you’re moving from one home to another, this model is portable and light enough to lug around. Also, it is sturdy and heavy enough that you won’t be able to easily swipe it aside when you’re cooking. This is a big plus because any cooktop that is so light that it can easily be pushed can lead to accidents and burns. You shouldn’t have that issue with this model. Given its slight heft’s safety-boosting effect, it’s not surprising at all to find out that some people who have bought this unit consider it the best portable induction burner they’ve ever bought. The control panel for this model is very easy to see. No glasses are required to figure out the LED display. You can quickly punch the buttons to cycle through the 5 pre-programmed settings this machine offers. The LED display panel is so big that it can accommodate 4 digits. Normally, 3 digits is enough. The extra digit display is definitely a welcome bonus. Since the surface of this model is made up of A-Grade Crystal, the polished surface makes it very easy to clean. Even baked on or dried on stains come off easily with a little bit of elbow grease. It’s clean and sleek surface makes sure that there’s nothing a sponge dipped in a bit of soapy water can’t handle as far as this model’s clean up and maintenance are concerned. When it comes to induction cooktops, heating quality is where the rubber meets the road. This is easily the criteria that determines whether a particular model will be the best rated portable induction cooktop for its category or a simple also-ran. Thankfully, when we tested this model’s heating distribution, we were relieved to see that it produced a neat little circle smack dab on the flour we put underneath the pan we used to test it. Why is this a big deal? You need even heat distribution because if you’re cooking bacon strips or hot dogs, you wouldn’t want your items to be thoroughly cooked in the middle and still cold on the outer fringes. You end up stirring more or otherwise compensating for the uneven heat. This is a hassle since one of the main reasons you went, presumably, with an induction cooktop is that you wanted to save time cooking. Uneven cooktop heating will vaporize all your fantasies of saving time. As stated above, this model is 14.8 x 11.7 x 2.4 in dimension. This makes for a nice one pot or one pan cooktop. Its surface area is enough to accommodate most pots and pans. Unless you own a micro brewery and have huge pots, you should do just fine with this cooktop’s plate space. As far as pan sensitivity is concerned, this unit was able to create the right amount of magnetic heat (tested at different temperatures) with the normal metal composites that make up the bulk of induction cooktop from cast aluminum to steel composites to even ceramic composites. Not bad. Not bad at all. Priced, on average, at just north of fifty bucks, the Rosewill RHAI-15001 Induction Cooktop is definitely a serious contended for offering the best price for induction cooktops. Seriously. It delivers solid performance. 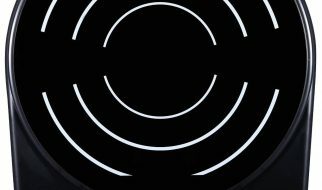 It isn’t slick or flashy by any means but its solid range of features and its great performance and price point certainly qualifies it as one of the best price induction cooktop models we’ve had the pleasure of evaluating.